Background: Diaphragm thickness measurement by ultrasonography (USG) has been shown to be a good surrogate of diaphragmatic functions. However, data regarding reliability of diaphragm thickness measurement by critical care physicians among patients with sepsis is limited. 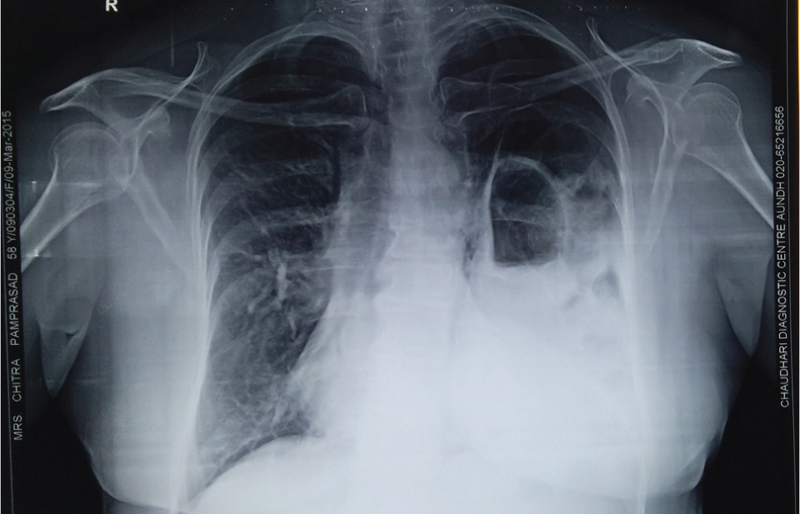 Aims and Objective: This study was designed to assess the variability and reliability of diaphragm thickness measurement on USG by critical care physician in patients with sepsis. Materials and Methods: Study included patients with sepsis who were admitted between March 2015 and December 2016 in a tertiary care center. Three readings of diaphragm thickness were recorded separately during inspiration and expiration using B-mode of USG. Mean [standard deviation (SD)] of variation and intraclass correlation coefficient (ICC) in the measurement were calculated for assessment of variability and reliability, respectively. Results: Four hundred twenty measurements on 70 patients were included in the study. Mean (SD) variation for 1st, 2nd, and 3rd measurement during expiration were 0.233 (0.027) mm, 0.231 (0.029) mm, and 0.233 (0.029) mm, respectively. During inspiration mean (SD) variation for 1st, 2nd, and 3rd measurement were 0.285 (0.033) mm, 0.283 (0.031) mm, and 0.283 (0.033) mm, respectively. The ICC [95% confidence interval (CI)] among 1 vs. 2, 1 vs. 3, and 2 vs. 3 readings taken during expiration were 0.930 (0.889–0.956), 0.919 (0.873–0.949), and 0.940 (0.905–0.963), respectively. During inspiration, ICC (95% CI) among 1 vs. 2, 1 vs. 3, and 2 vs. 3 readings were 0.949 (0.919–0.968), 0.940 (0.905–0.962), and 0.945 (0.914–0.966), respectively. 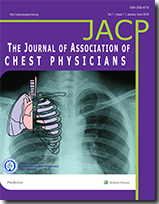 Overall ICC for three readings of diaphragmatic thickness during expiration and inspiration were 0.930 (0.898–0.954); P < 0.001 and 0.945 (0.919–0.963); P < 0.001, respectively. Conclusion: The measurement of diaphragm thickness using USG by critical care physicians among patients with sepsis is reliable with minimal variability. Bochdalek hernia (BH) is a rare occurrence in adults. 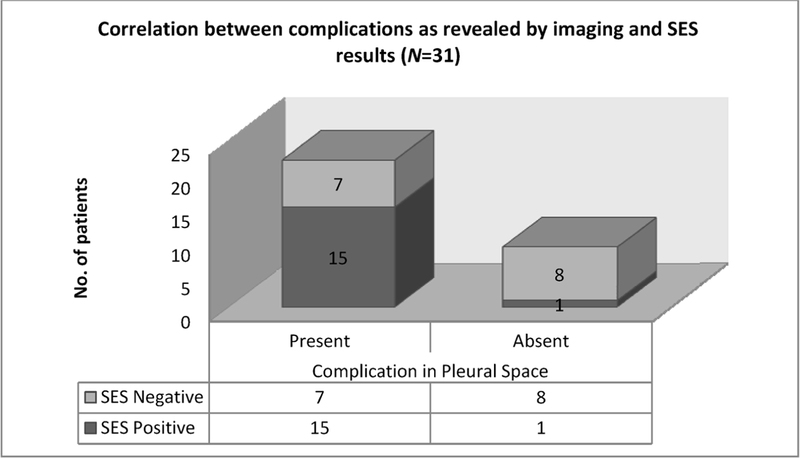 Even rare is recurrence after surgical repair. The case presented here is rare case of large Adult Bochdalek hernia which recurred after failed surgical repair after many years in a elderly female who could pass through the stress of two full term pregnancies. Clinicians should be aware that large Bochdalek hernia can persist in adults despite surgical repair which can pose as a diagnostic and management challenge. Synovial sarcoma (SS) is highly malignant tumor that occurs mainly in adolescents and young adults and is usually seen in the extremities. 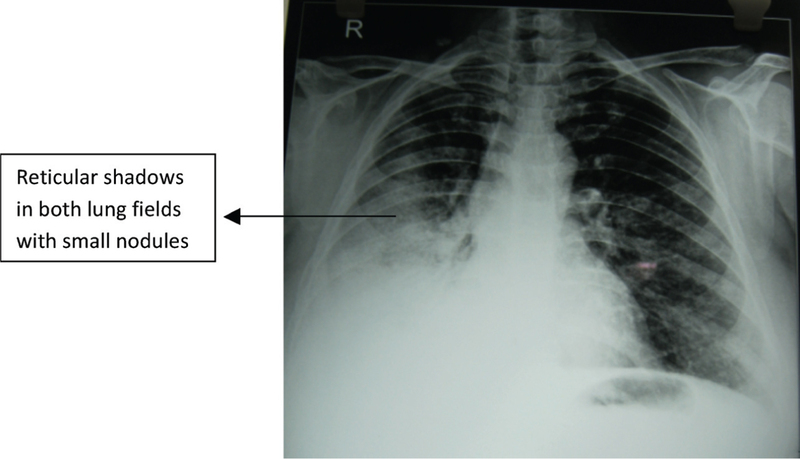 However, primary SS arising from the lung is extremely rare, accounting for 0.3% to 1.3%. Primary pulmonary SS (PPSS) is an extremely aggressive malignant tumor that can invade adjacent organs or give distant metastases. Besides clinical evaluation and imaging methods for definitive diagnosis, immunohistochemical examination is must. 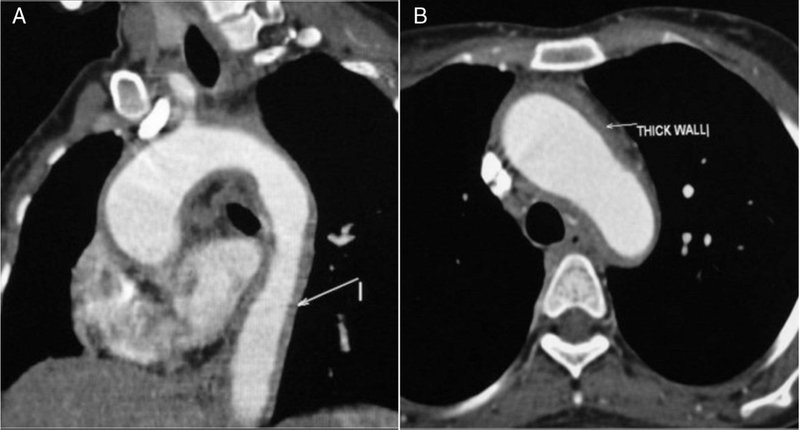 We report a case of elderly male with left lung mass lesion invading into the pericardium and left-sided pleural effusion with a history of smoking. 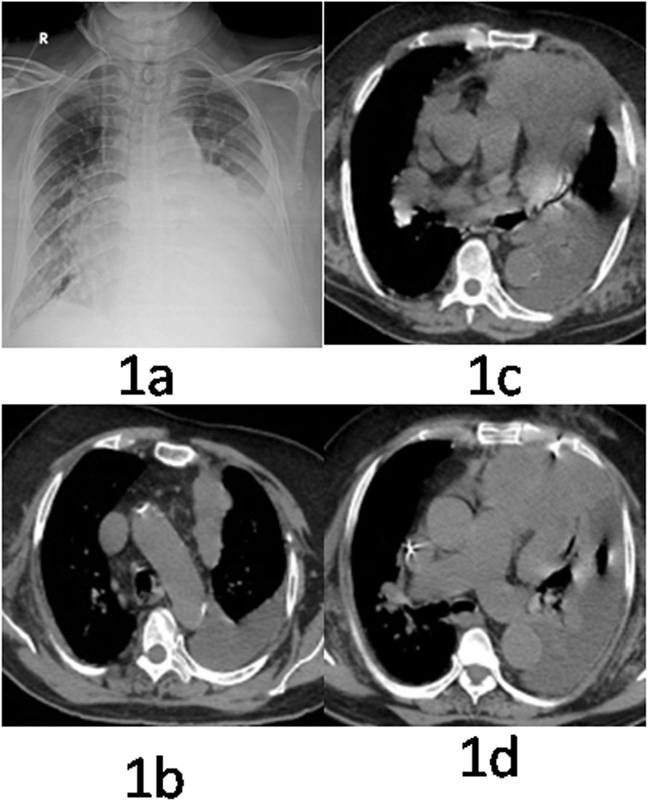 Positron emission tomography (PET)–computerised tomography (CT)-guided trucut biopsy from lung mass lesion led to the diagnosis, and thoracoscopic pleural biopsy showed the pleural involvement with final diagnosis of PPSS (monophasic type). 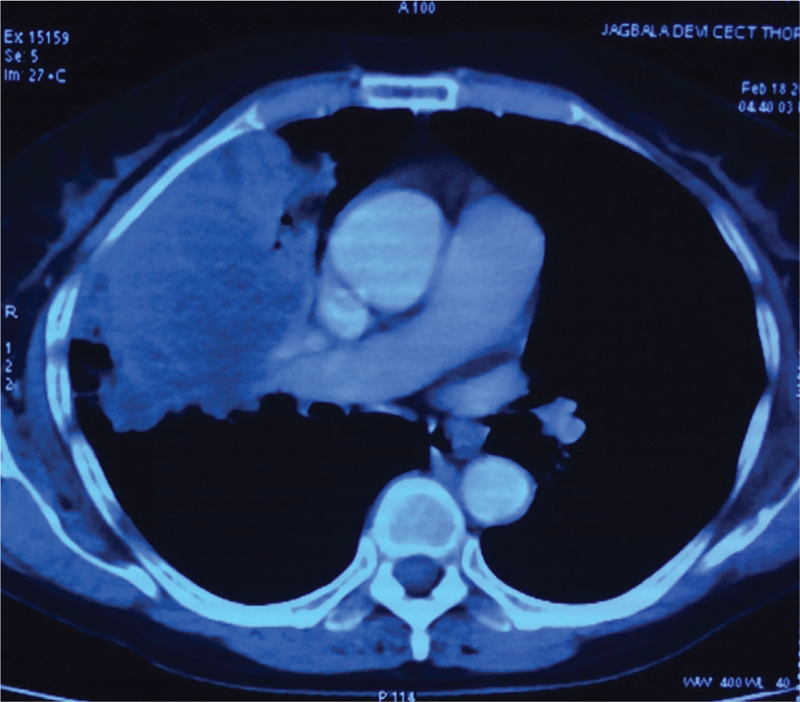 There are no guidelines for optimal treatment due to the rarity of such tumors. Current treatment includes resectional surgery and adjuvant chemotherapy and/or radiotherapy. But because of advanced age and poor performance status, our patient was not candidate for any treatment but palliation.